Here’s what’s happening in the world of television for Sunday, April 1. All times are Eastern. 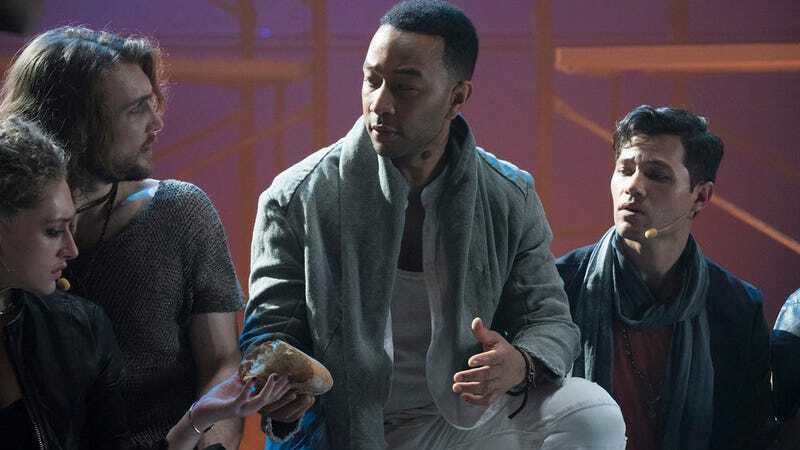 Jesus Christ Superstar Live In Concert (NBC, 8 p.m.): Following in the semi-proud tradition of Grease: Live, Peter Pan Live!, and other such attempts to translate musical theater to the small screen, NBC is going back to basics with Jesus Christ Superstar Live In Concert. None of that fancy set design or immersive camera work for this production, just a stage and some big-name talent for this story about the last week of Jesus’ life. The big man will be played by John Legend this time around, with Hamilton’s Brandon Victor Dixon as Judas Iscariot. Our own Caroline Siede will be on hand to lend her voice to the review of this holy broadcast. Beverly Hills Dog Show (USA, 6 p.m.): There may be an alternate world in which dog shows aren’t a source of endless delight, but don’t ask me to live there. This is the second annual installment of the Beverly Hills one, with more than a thousand dogs in attendance. No word if the famous Beverly Hills Chihuahua will make an appearance.